On October 19th we had our quarterly Chapter Member Meeting up at Addison Oaks. The weather was amazing and we had approximately 20 people in attendance at the meeting. As usual for our October meeting we held board elections, with some board members remaining on the board, new folks volunteering to the board, and others stepping down. Specific positions have not yet been determined; this will be worked out at our first board meeting. As we get this worked out we’ll be adjusting the access to different portions of Basecamp and email addresses. I would like to extend a very heartfelt thank you to those of you who have volunteered your time and resources to be on the CRAMBA board. From membership growth to financial organization, from race planning to ensuring that our trail coordinators have the resources they need, we’ve gotten some great work done. While our members may not see the item-by-item grind that we do to keep the wheels on and move mountain biking forward here in SE Michigan, they are loving the results and we all are better for it. And we’ve got more to come. Mike Fitzpatrick: You’ve brought an amazing number of people into CRAMBA, both via the Guinness Bikers and your outstanding membership efforts. 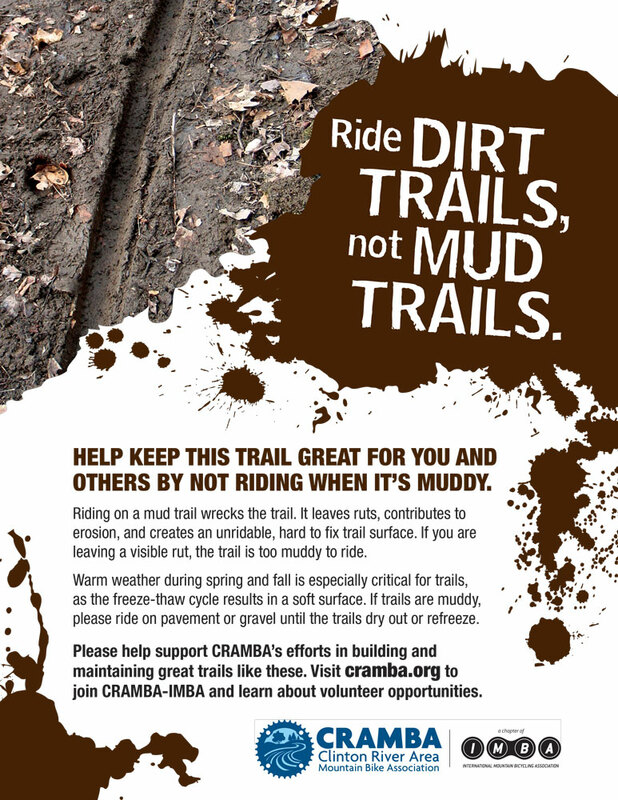 You’ve also donated some incredible materials and equipment (such as the two fat bike trail groomers) to CRAMBA which have allowed us to step up our trail game enormously, and the use of your pub as a regular meeting space was excellent. Not to mention the incredibly tasty, perfectly poured pints of Guinness! Thank you, Mike. We are incredibly fortunate to have had you as part of our team. 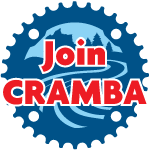 Jeremy Verbeke: Since joining CRAMBA, as River Bends Trail Coordinator and grooming our first fat bike trail, with your outstanding work expanding the CRAMBA Bike Patrol into the nation’s second largest Mountain Bike Patrol group, and countless more things beyond that, you’ve done amazing things. It’s been a pleasure working with you, and I look forward to our continued work together. Marty Shue: Marty, you’ve been around CRAMBA and Metro North since I started mountain biking; a reliable, steady stalwart. From putting together the GotMTB clinics and getting more women interested in mountain biking to running Addison Oaks races, from chairing CRAMBA through our transition to an IMBA chapter… It feels like you’ve done it all because you have. 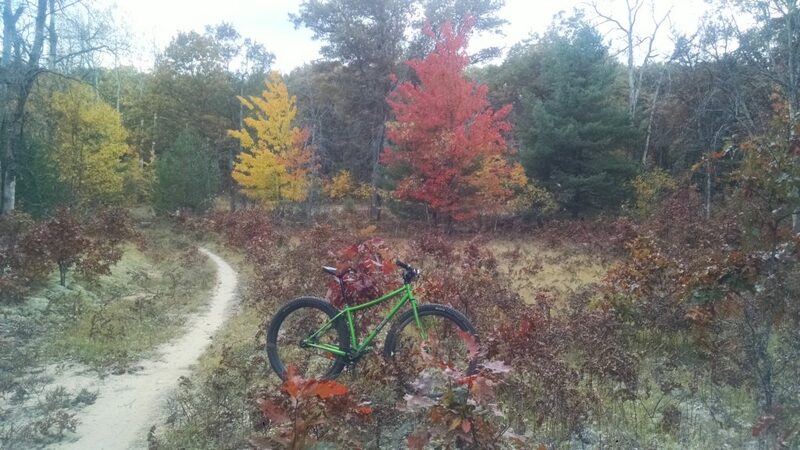 I cannot thank you enough, and all of mountain biking in Michigan owes you a debt of gratitude. Tony McGee: A tremendous thank you, Tony. After joining the CRAMBA board you took on wrangling our relationship with the MMBA and many, many tasks that brought everything together. It was wonderful working with you and I look forward to seeing you on the trails. Alice Jacobs: Thank you for your regular input and for bringing a fresh perspective to the CRAMBA board. Your experiences volunteering with cons and other organizations have allowed us to think about how we work in a completely different way. Nick Shue: Since I started mountain biking, you’ve been one of those guys who are always there. Whether it’s mentoring others on trail layout, sharing lessons learned from past work, putting together group rides, or linking up interested parties to make things happen with all the right people involved… You’ve done it. Hand in hand with Marty the two of you have been there, leading the Metro North Chapter and CRAMBA into the future and solid organization we now find ourselves in. Thank you, and I really look forward to continuing to work with you. Chris Westerlund: From carrying the torch with Massive Fallout to constantly following up on membership you’ve been a reliable, helpful part of CRAMBA all while balancing things with work and school. It’s been great working with you, Chris and I really look forward to all the great advocacy stuff that we’ll be able to keep doing. To Kristen (who is remaining on the board), Erick, Mike, and Brian, thank you for stepping up to help guide and run CRAMBA. From Holly Rec Area grooming to the Stony Creek project we’ve got a ton of great stuff going on, there’s loads of great opportunities ahead of us, and a solid foundation on which to grow. We’re going to do great things! I look forward to all of us working together and can’t wait to see where we go. Steve chaired the meeting. It was called to order at about 7:10 PM. Minutes of the previous meeting were not read. This meeting was held at Pontiac Lake Recreation Area. There were about 15 people in attendance. Steve Vigneau chaired the meeting. It was called to order at about 7:44PM. Steve chaired the meeting. It was called to order at about 7:04 PM. This meeting was held at the Fitzpatrick Irish Pub. 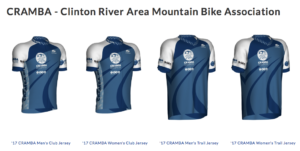 Click HERE to order your CRAMBA jersey. These are Produce on Demand items and will take 7 business days to be produced before they’re shipped.